Brand new for 2017 our Foundation Electrics course is designed to take you from absolute basics to an understanding of electricity and its applications. Health and safety issues are intrinsic and the course will include a section on safe isolation. 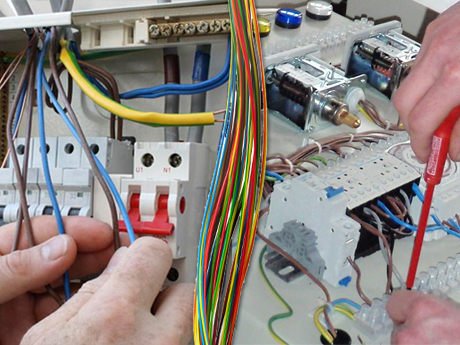 Assuming no prior knowledge although some practical aptitude is essential, this course is suitable for refrigeration and air conditioning engineers, or inexperienced / apprentice electrical engineers. To achieve a basic understanding of electricity and its applications. The topics will be covered with emphasis on practical work from the delegate using actual working systems where applicable. Theoretical work will be assisted by visual aids and discussion session and all delegates will receive a comprehensive set of course notes for reference material. The course book includes theory questions to test interim knowledge and then a final assessment will be held at the end of the course consisting of a written theory paper and a practical test. Designed as an introductory, level 2, course, a new, more advanced level 3 version will be available shortly. Delegates can also develop their electrical knowledge by using this as a basis for other level 3 courses such as the City and Guilds 2382-15 "17th Edition", City and Guilds 2377-22 "PAT testing", or the City and Guilds 2394-01 "Inspection and Testing". Information on these can be found elsewhere on our website.